The Coop invites you to our upcoming event with Missy Day. 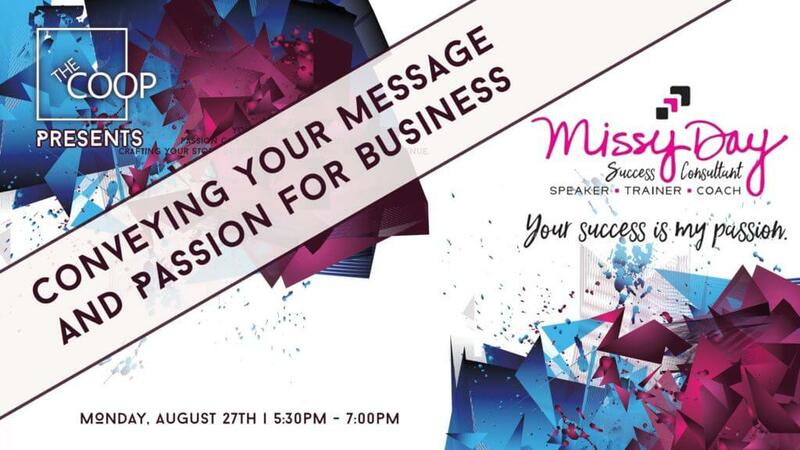 Do you have a passion for your business but aren't sure what your message is? You will learn how passion can increase your client base and crafting your story into your message will increase revenue.